Savannah’s food truck scene is finally expanding enough to warrant a festival, and that’s where Skyler Rodrigeuz and Ryan Giannoni come in. She and Giannoni decided to host a trial event to test community interest. When over five thousand people showed up and every truck sold out of food, they knew a food truck festival was what the community needed. The first food truck festival was on June 2, 2016, nearly two years ago, right when food truck legislation was beginning to be passed in Savannah. After so many successful events, the importance of a community of food trucks is clear. Rodriguez says this year is all about expansion. 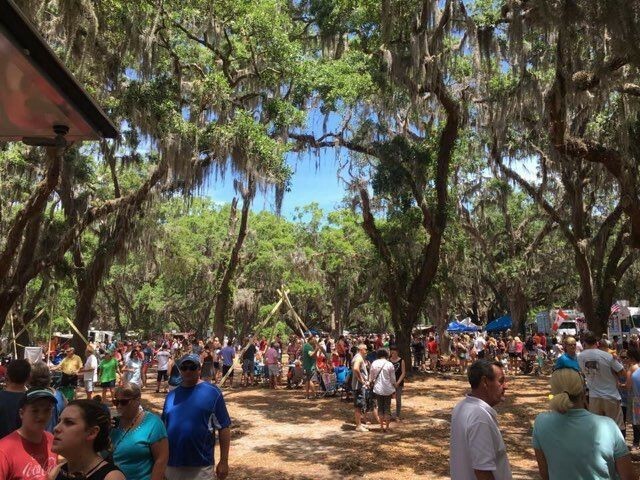 They’re set to host a second Food Truck Festival at St. Simon’s Island and hope to expand food truck access to Tybee Island, but they also have a charitable project in the works. “A major endeavor this year is that we’ve teamed up with CEMA and DPH for the Food Truck Disaster Relief Team,” shares Rodriguez. “This team ensures that during times of natural disasters such as Hurricanes Matthew and Irma, that city officials and those that stay behind are taken care of and fed.